Holidays in Puerto Pollensa offer a chance to immerse yourself in the wonderful culture of Majorca. Located on the northern coast of the island, it’s in a spectacular sandy bay where you can enjoy views of clear waters and rugged mountains. Families, couples, and explorers will all find something for them here. Its tranquil town and mountain range mean there are chances to relax or make the most of the island’s wonderful natural surroundings. Wander through Puerto Pollensa and admire the stony buildings before stopping off in little shops or for some fantastic Majorcan cuisine in one of the family-run restaurants. Spend your days on the beach and simply soak in the views and the sun, or try some of the watersports on offer. Set sail around the island, try windsurfing, or simply explore beneath the surface with a mask and snorkel. 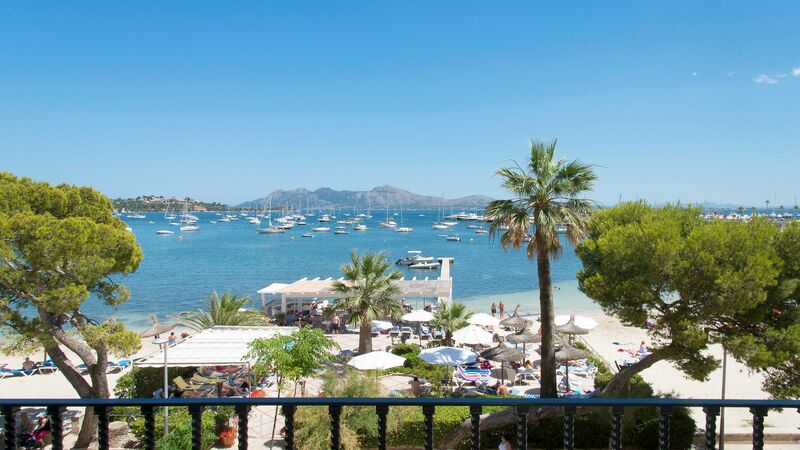 Luxury holidays in Puerto Pollensa are all about relaxing and immersing yourself in the beauty of Majorca. The town itself is steeped in history and has a labyrinth of narrow streets to explore, with stone cottages on either side. The beaches and mountains surrounding the town add a stunning backdrop, while the newer buildings enhance the aesthetic of the area. Enjoy tranquil, luxury holidays in Puerto Pollensa with Sovereign and we’ll take care of all the little details for you. Each of the hotels we offer has been carefully selected to ensure you get the most from your time here. Hotel Illa D’Or is a whitewashed, historic hotel with a fantastic selection of amenities. Relax in the spa, enjoy cocktails overlooking the bay, taste wines with expert sommeliers or sail on a 1950s fishing boat. 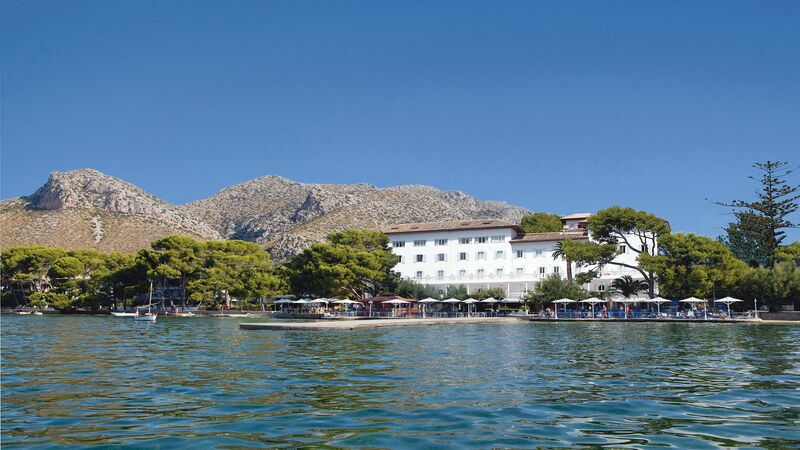 Hotel Miramar is set in front of Puerto Pollensa’s lively beach and dates back to 1912, as well as offering guests a choice of three restaurants. Puerto Pollensa's Pine Walk is a two-mile promenade that runs along the coastline. It's great for a stroll in the early evening, with views across the bay and plenty of restaurants and bars to stop at along the way. People have lived in Pollensa since at least 2,000 BC, so it’s got a few millennia of history up its sleeve. Start at the baroque cloisters of the Convent of Santo Domingo, which hosts Pollensa Museum. Here, you can really dig into Pollensa’s prehistoric past. Meanwhile, Placa Major serves up the 13th-century Our Lady of the Angels Church. Step inside to admire the vast rose window and cavernous stone interior. Outside, smart café terraces gather in the sandstone square. Transfer time from Palma airport to Puerto Pollensa is approximately 1 hour.